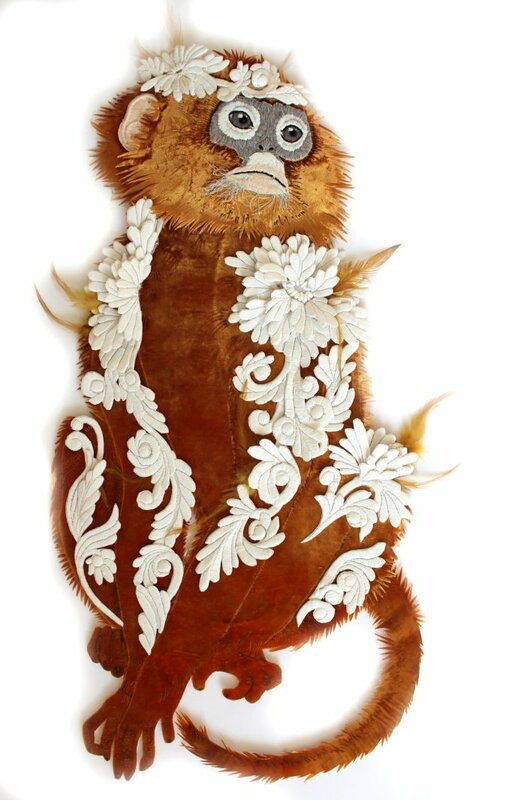 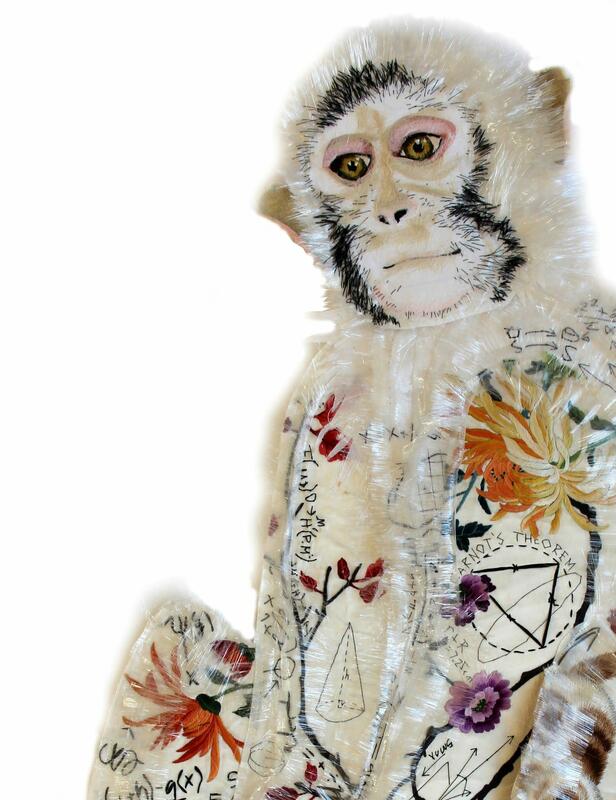 Karen Nicol's new exhibition is a Singerie, the French word for 'monkey trick.' 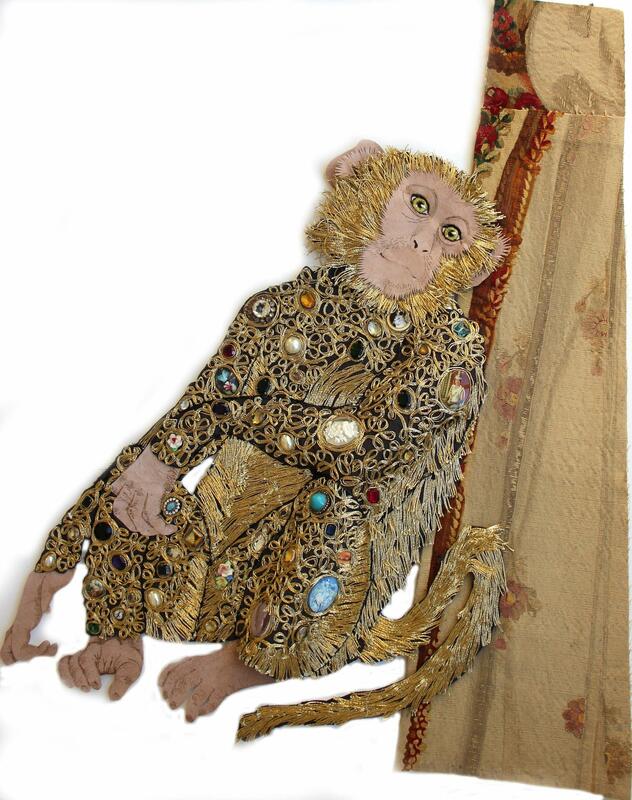 Singerie is a genre that was first found in the eighteenth dynasty of Egypt and made hugely popular in 18th Century French Rococo art, in which artists satirically depicted monkeys wearing fashionable dress. 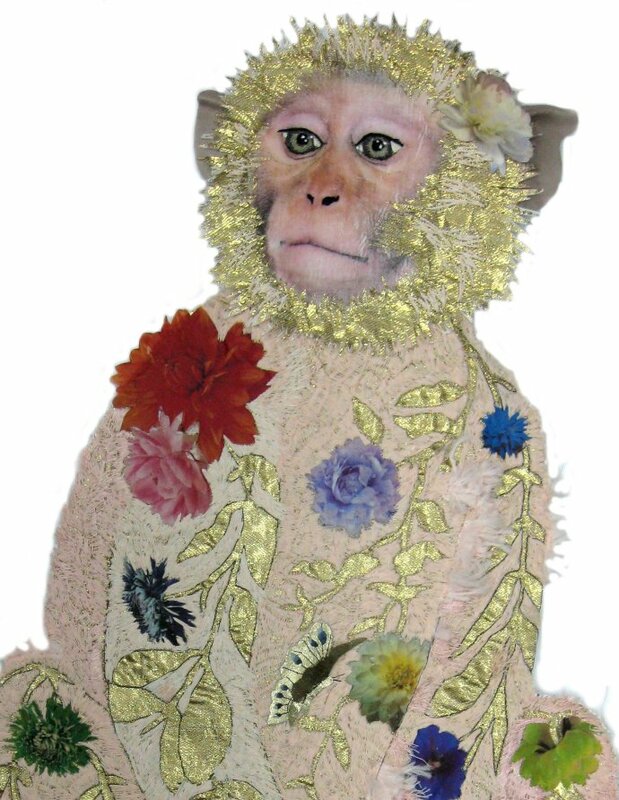 Karen similarly delights in the irony of clothing her animals in couture skins, in response to humans dressing themselves in animal pelts. 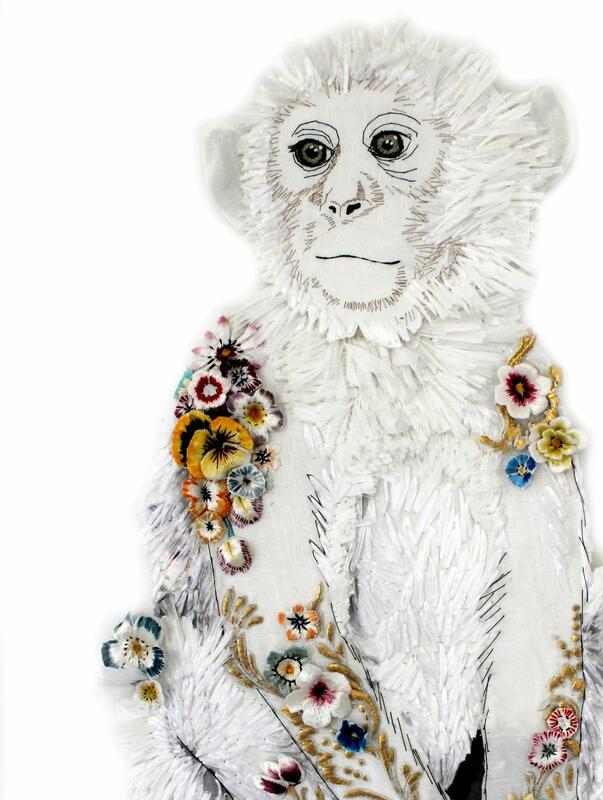 In doing so, Karen pushes embellishment beyond the realms of couture into art. 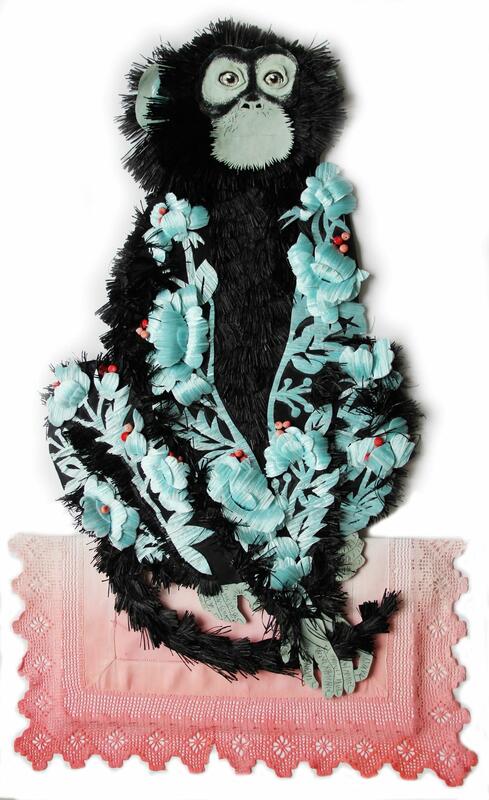 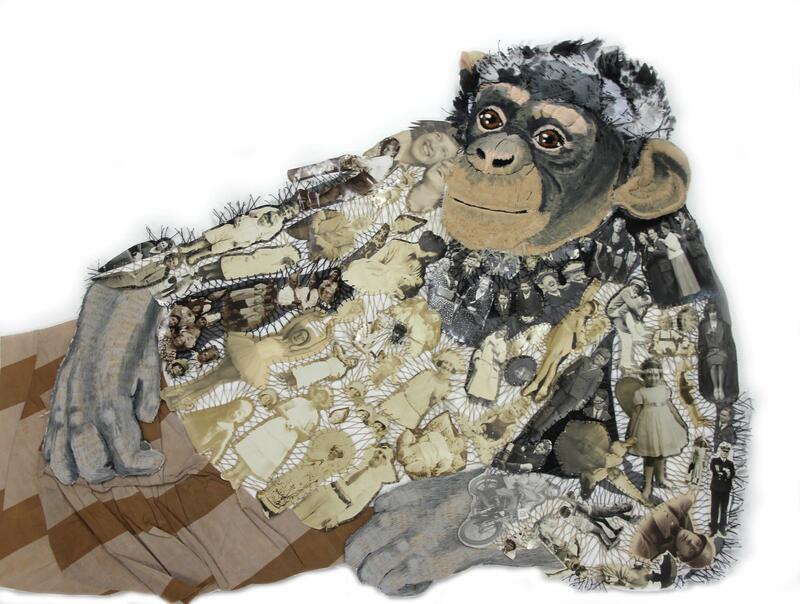 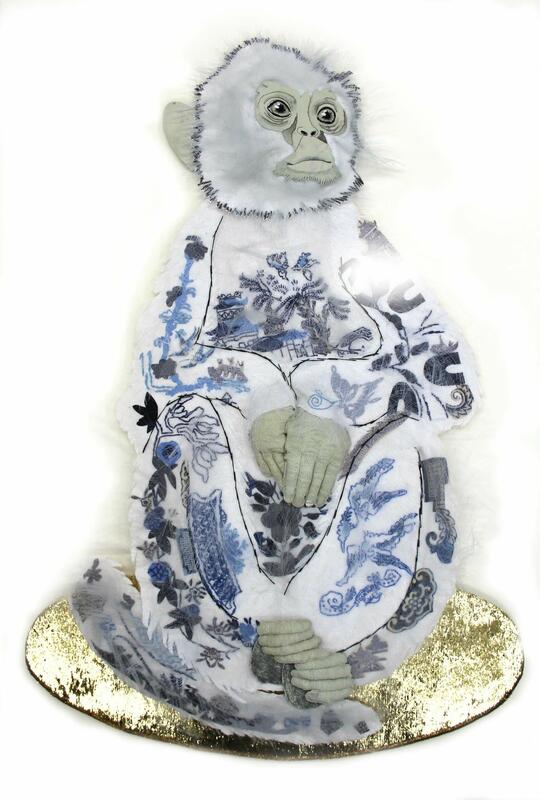 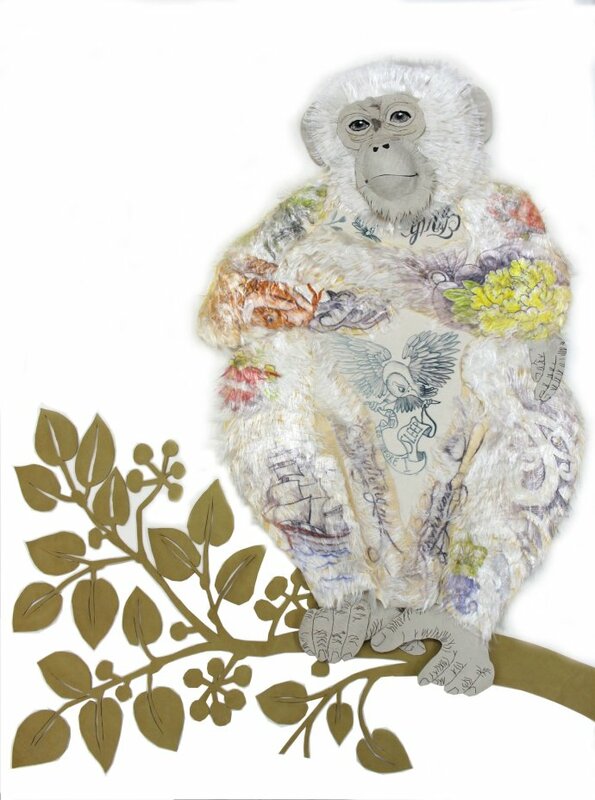 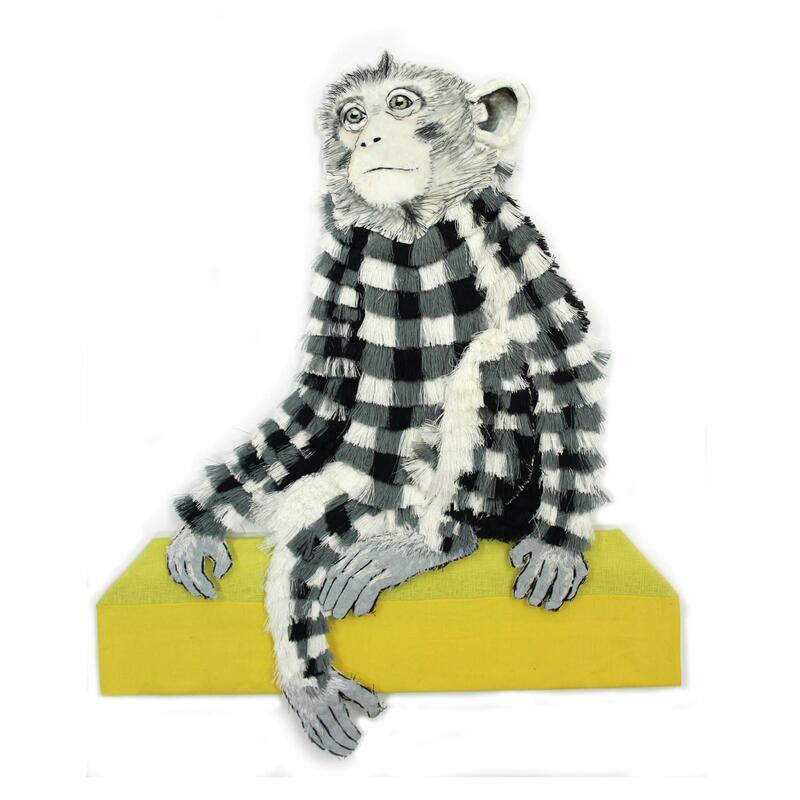 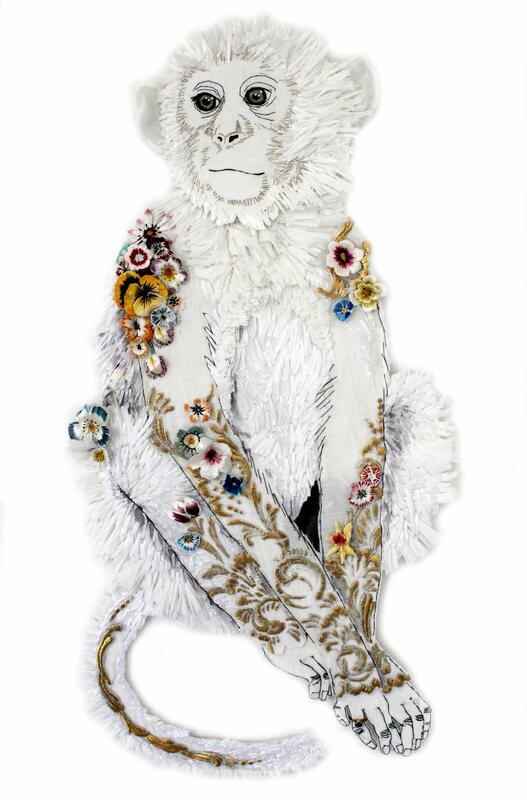 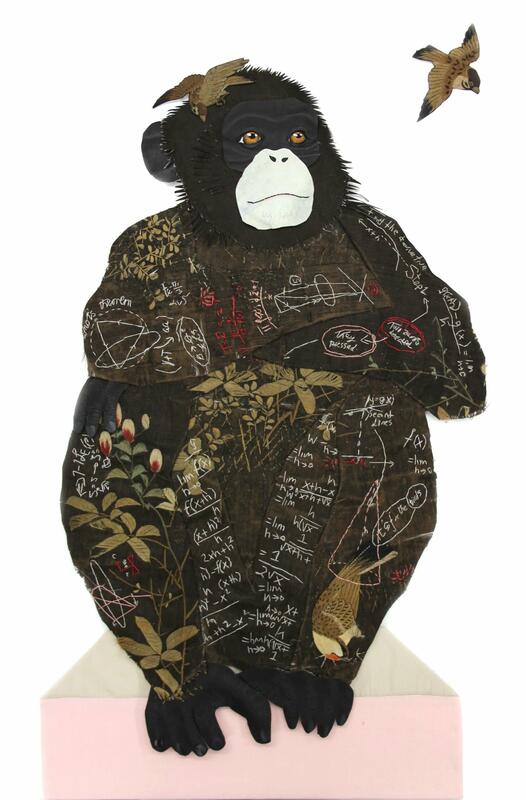 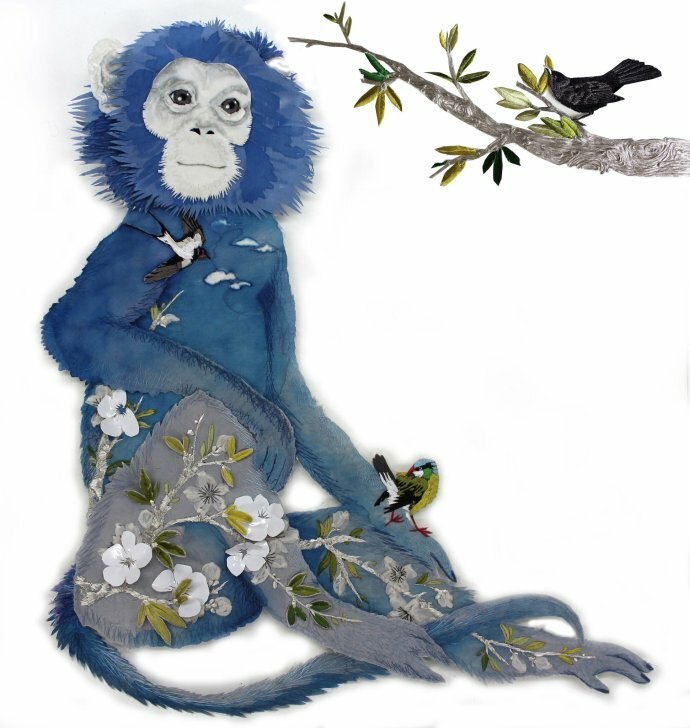 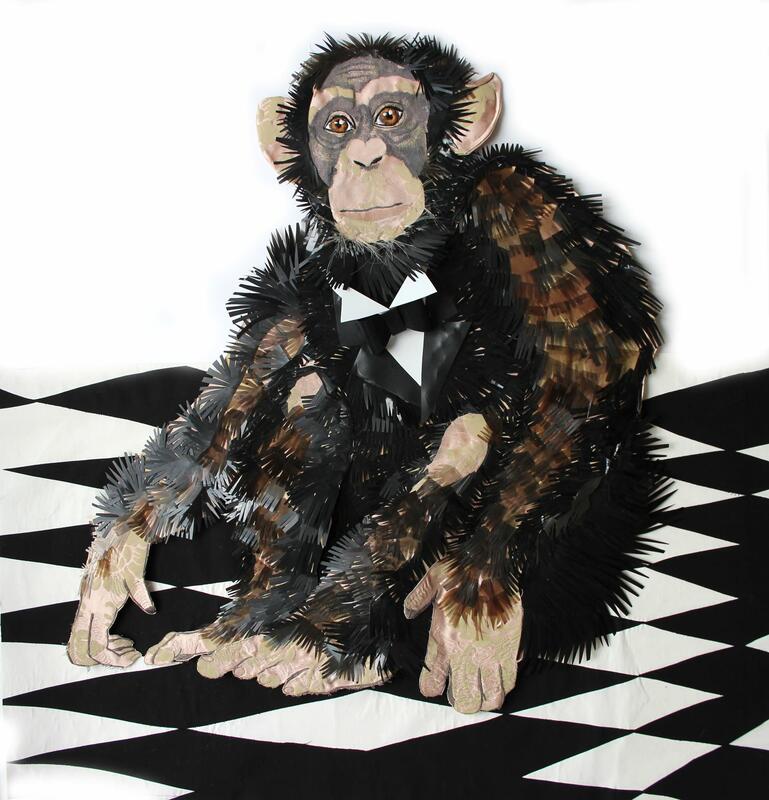 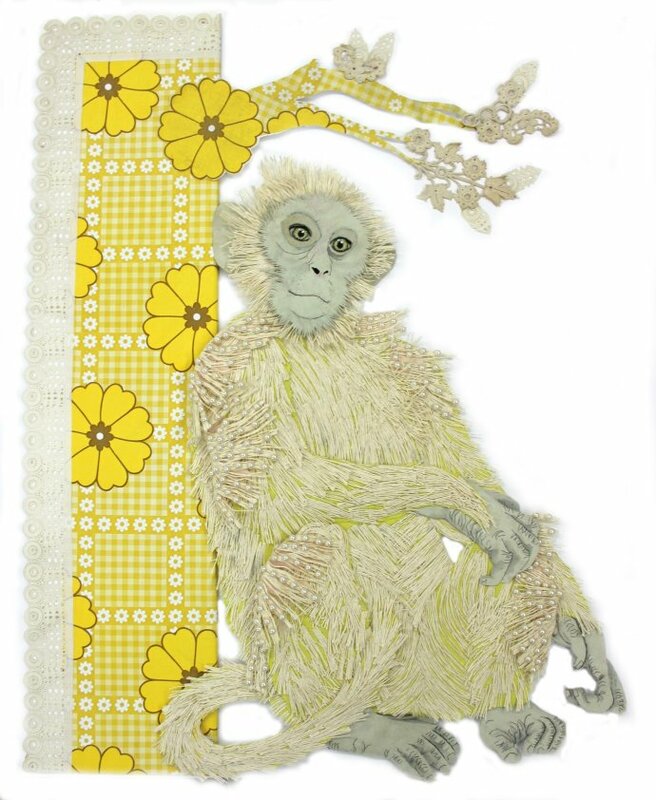 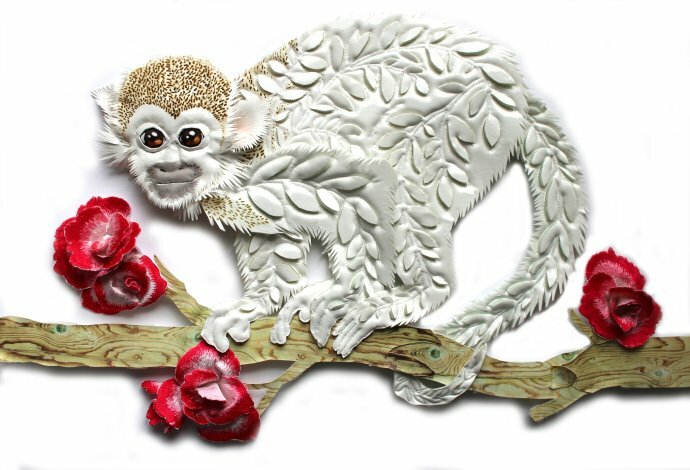 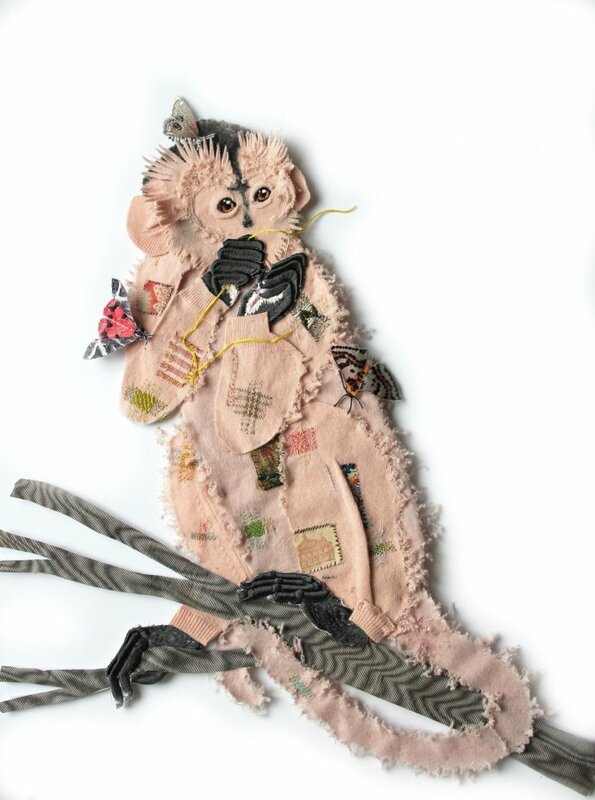 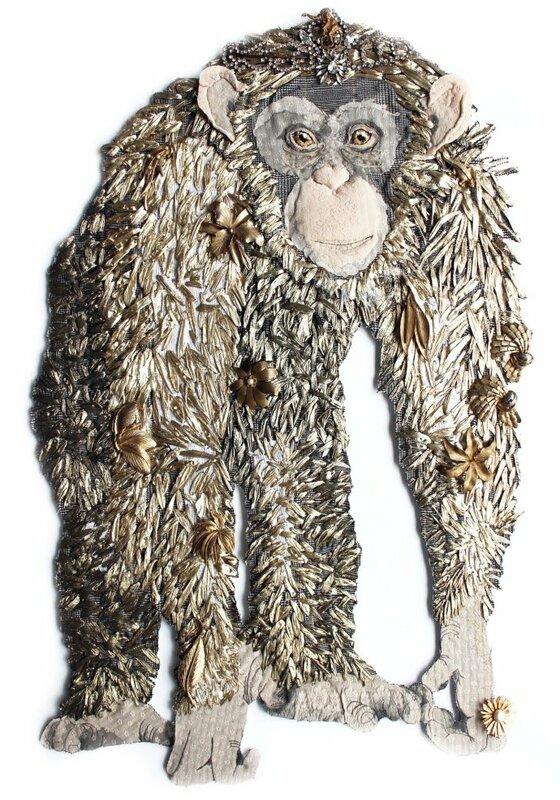 For this exhibition, more than 20 monkeys will hang in the Rebecca Hossack Art Gallery, as glorified primates adorned in innovative developments of the amazing diversities and intricacies of Karen's media. 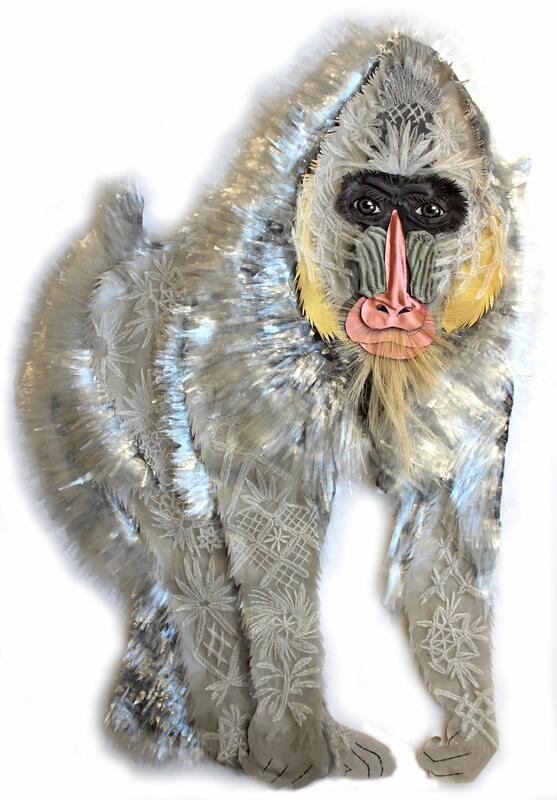 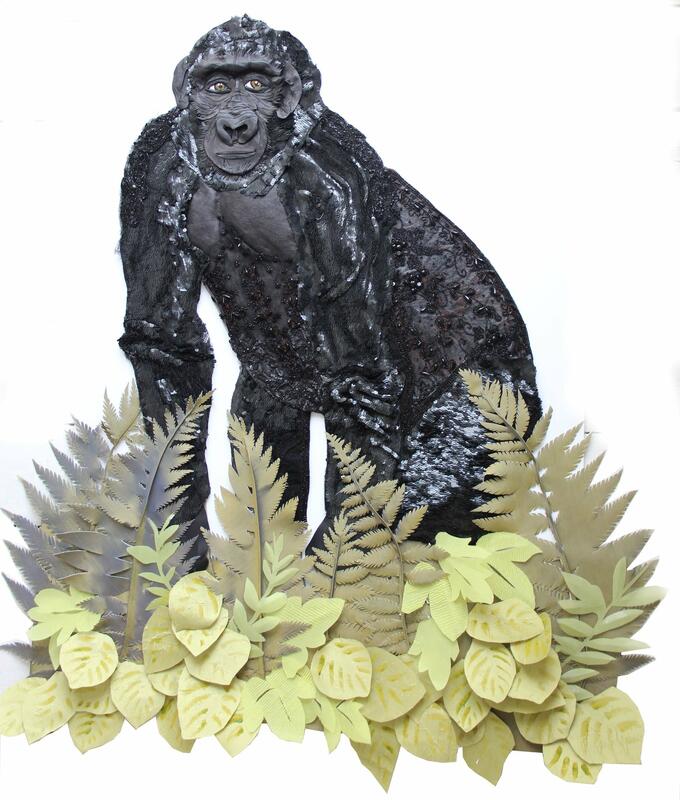 Visitors will see works of stitched plastics to paints, expertly combined, to bring the Singeries to life. 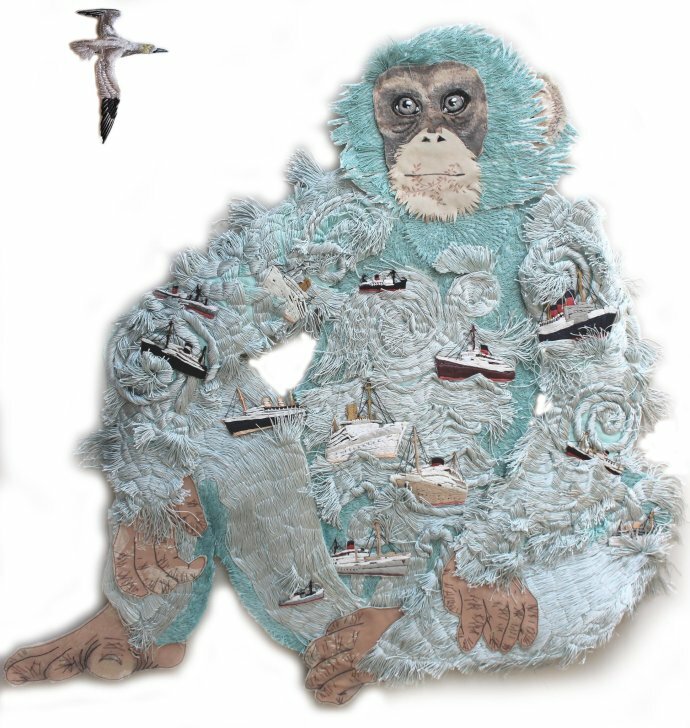 Karen Nicol has long been recognized in the fashion industry for her extraordinary textile creations. In the past few years, she has worked with John Rocha, Clements Ribeiro, Chloé and Matthew Williamson; and has worked in interiors for clients such as Anthropologie and Designers Guild.